There are stacks of books in my office and the largest is about team building. 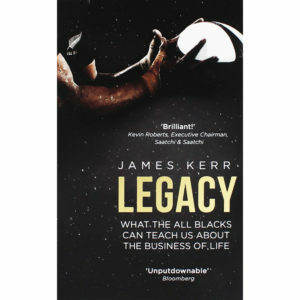 One book stands out from the rest, it’s LEGACY, about New Zealand’s All Blacks rugby team. Subtitled What the All Blacks Have to Teach Us about the Business of Life (Note, it is not: What the All Blacks Have to Teach Us about the Life of Business! ), every part of this book is about who we are as people, it is about character. The title of one chapter is Sweep the Sheds, with the equally important subtitle Never Be Too Big to Do the Small Things that Need to Be Done! Sweep the Sheds captures the most important character trait of all…humility…or taking responsibility for your own actions and not having any sense of entitlement. It tells the story of when the All Blacks won the Rugby World Cup. After the victory, while most of the team stayed on the field to be joined by thousands of fans in a joyous celebration, several of the most veteran players were absent. Why? Because it was their job to clean the locker room before the team came in from the field. That’s right, the most senior team members Sweep the Sheds. Remarkable! While I’ve only read about the All Blacks, I have been fortunate to witness similar acts of humility that have stayed with me forever. 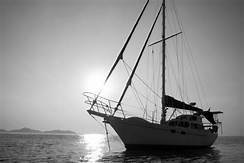 Many years ago, I was on a sailing vessel with a group of senior business executives. My charge was to lead activities to strengthen them as a team. Soon after leaving the harbor, as we began a discussion about how we would use our time together, one member of the staff became noticeably pale and headed below. Before long, we could hear the sounds of retching. A bit later, he came back on deck, his color ashen. He apologized and said he’d clean the head more thoroughly when we had a break in our session. As I was about to restart the discussion, the CEO stopped me and said, “One moment.” He proceeded to go below and clean the head. A few minutes later he came back on deck and said, “OK, now we’re ready.” I responded with a laugh, saying, “I think my work is done here,” explaining that while I’d been hired to do teambuilding with his staff, his humble act of cleaning up after a staff member far surpassed any teambuilding exercise I could offer. 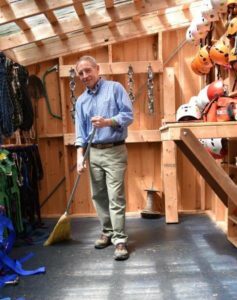 He had modeled the ultimate character of a wonderful leader and human being: he Swept the Shed! 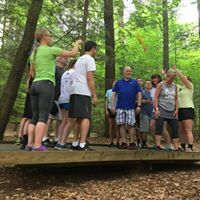 Working with a group of 40 school administrators, including department heads and the superintendent of schools, who had personally organized our two- day session, the meeting got off to a rocky start. Several of the staff complained that a recent administrative decision was causing problems throughout the district. There was confusion as to who’d made the decision and why, and how the ‘big mess’ it had caused could be corrected. The Superintendent remained quiet throughout this discussion, then responded with these words, “That was a decision that I made but, in retrospect, I don’t think it was the best one and I want to apologize for doing it in isolation and without more input from all of you. I would love your ideas on how it can be corrected, or perhaps we need to do away with it all together.” She Swept the Shed, in this case by taking ownership and responsibility for a decision. On another occasion, working with the Boston Bruins, NHL hockey team, we had completed our morning session and were seated under a tent awaiting the arrival of lunch. As the caterer pulled up in his truck loaded down with food platters for over 50 people, it became clear that he needed help unloading. Zdeno Chara, captain of the Bruins, jumped up and began helping. Soon other team members joined him and within minutes the job was done. The caterer turned to me and said, “Did the Captain of the Boston Bruins just help me unload my truck?” I affirmed that was indeed what had happened. Zdeno Chara Swept the Shed. It’s easy to say or do the right thing when you have an audience, but it’s something else to truly never be too big to do the small things that need to be done. It’s been my impression that people reveal more about who they really are when they don’t think others are watching. True qualities of leadership aren’t revealed under the bright lights, they’re discovered in our actions each and every day.